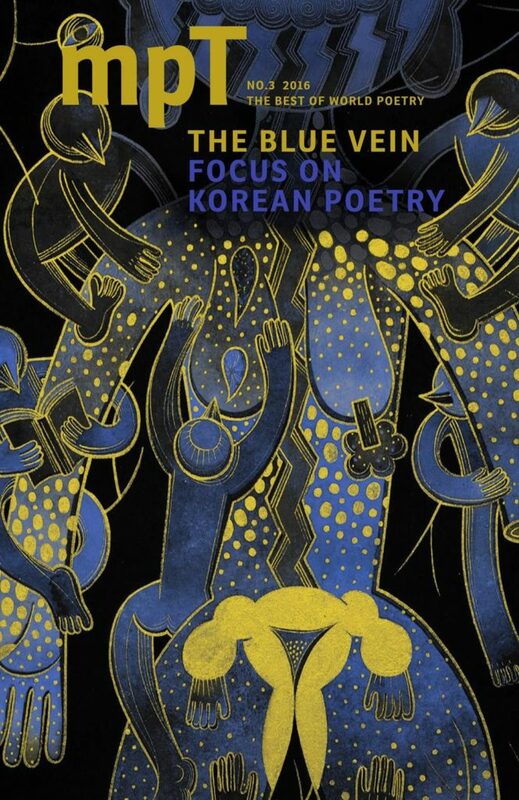 MPT’s winter issue ‘The Blue Vein’ focuses on a new wave of Korean poetry, with a selection of new translations of Korea’s foremost poets Kim Hyesoon and Ko Un, poems by Han Kang who won last year’s Man Booker International Prize for her novel The Vegetarian and an interview with Kim Hyesoon on writing in Korea’s current climate and her most recent work, Autobiography of Death. We publish for the first time the entire cycle of ‘Crow’s Eye View’ by Yi Sang, an important modernist and experimental text which has inspired Kim Hyesoon. We feature new translations of Cuban poet Oscar Cruz, Swedish poet Ebba Lindquist and C. P. Cavafy. Canadian novelist Steven Heighton’s discusses his translation of a classic poem by Kostas Karyotakis and we celebrate the life of Eduardo Chirinos with a stunning sequence of late poems. All this and more in the groundbreaking magazine dedicated to poetry in translation: for the best in world poetry read MPT.